A truly extraordinary release from veteran blenders, Johnnie Walker. “The John Walker”, as the bottling is titled, is a limited edition blend which has been inspired by the famous Master Blender Sir Alexander Walker II’s hand written instructions. This blend plunders the oldest quarters of Johnnie Walker’s reserves. 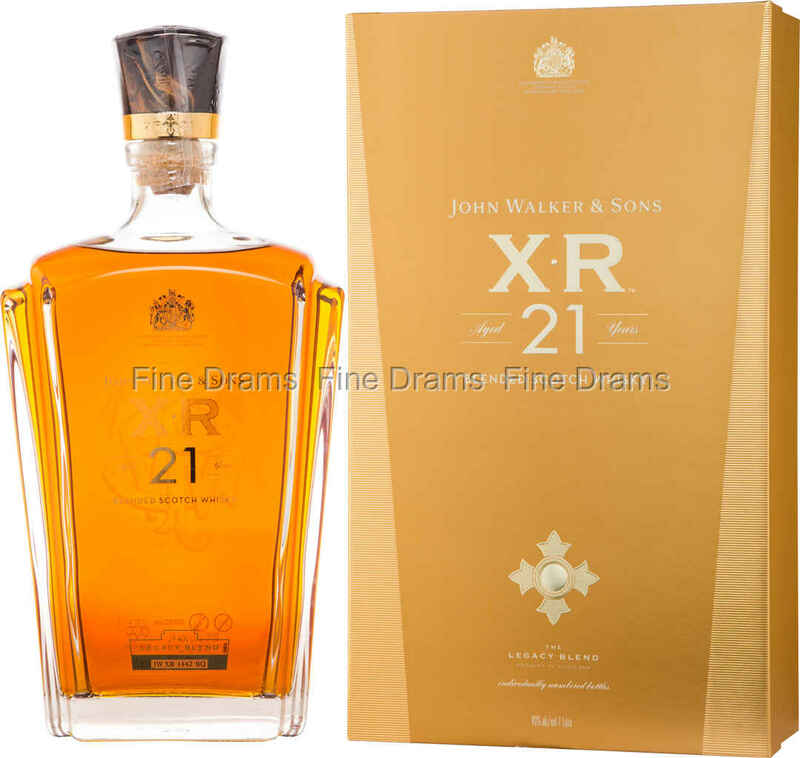 XR is made with whisky aged for no less than 21 years, including some especially rare casks of spirit from closed distilleries. The whisky opens up with a slightly herbal, apple note, which is soon joined by bittersweet marmalade, charred oak, smoky malt, waxy flavours, dried fruit and sherried plums. An absolutely superb, incredibly complex blend from Johnnie Walker. The spirit is beautifully presented in a decanter style bottle with a smart gold presentation box.